I’ve completed all but two of my rose stars. Just to mix things up a little I thought I would start to sew them together. I’ve opted for plain white as the background , given the huge number of prints and colours in the blocks themselves. That and the fact that I am terminally indecisive. Oh, and I have a load of white ikea sheets lying around just waiting to be cut up. I use them a lot when I need plain colours, as the backing and binding here and here, the sashing here and here, and in these cushions. 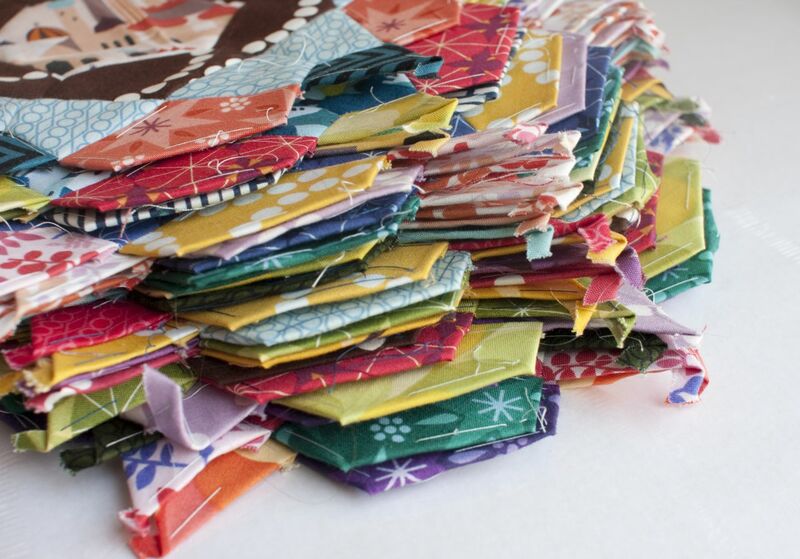 They are really cheap, and unlike other (fancier) sheets are about the same weave as quilting cottons. Each of the blocks took about three hours from start to finish. There are 27 of them. I don’t want to do that maths. I have really enjoyed sewing them; handstitching is so relaxing and sociable (relatively). It’s so lovely that they are all basically the same, and yet so completely different. 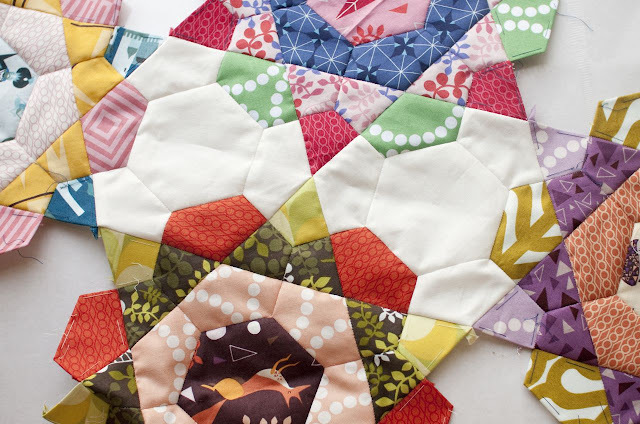 Sewing them all together into a quilt top though – that might be a different story!